The Speaker of the Lagos State House of Assembly and Chairman, Conference of Speakers of State Legislatures of Nigeria, Rt. Hon. Mudashiru Obasa has called on Nigerians to continue to pray for a peaceful and successful General Elections in the country. The Lagos Assembly Speaker also saluted Nigerians for their resourcefulness, courage, prayers and support which have been vital to the successes so far recorded by the All Progressives Congress (APC) administration at all levels of governance. Rt. Hon. 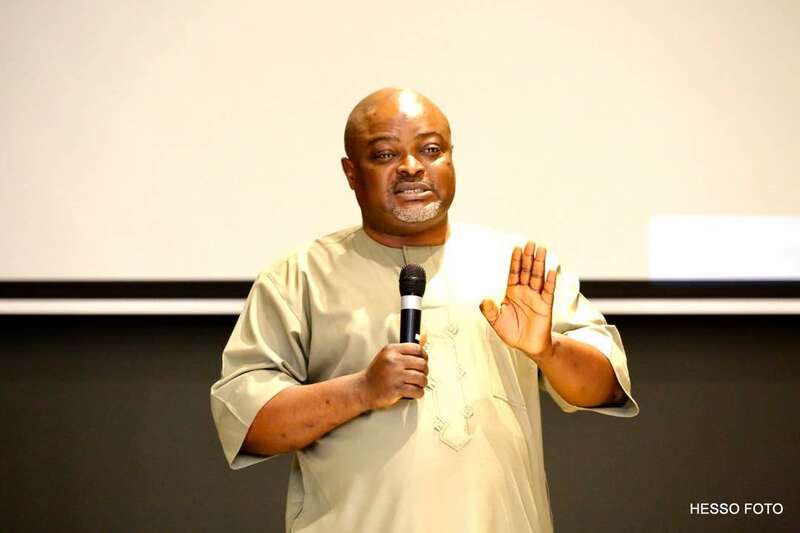 Obasa’s message was contained in his New Year message via a press released on Monday, signed by his Chief Press Secretary, Musbau Rasak. “Nigerians are very resourceful and courageous and it is obvious that all these, coupled with their prayers and support, have been very vital in the successes recorded so far by the APC administration at all levels. Indeed our people deserve special recognition and praise for this,” he said. He urged Nigerians not to relent in praying for the government especially for a peaceful and successful General Elections in 2019. “We will not relent in seeking for more support and prayers from our people. This is especially needed for a peaceful and successful General Elections,” Rt. Hon. Obasa said. The Lagos Assembly Speaker assured Nigerians that the APC administration at all levels will continue to put in place programmes and projects that will enhance their welfare and improve their standard of living. “The APC administration is committed to improving the lives of our people and we will not relent in doing this,” he said. Rt. Hon. Obasa concluded: “On behalf of my colleagues at the Lagos State House of Assembly, I wish you all a happy and prosperous 2019”.